Let not thine eyes glaze over, for the food shall set thee free! This subject might seem to be a deviation from my theme of empathy, but it is not. Mental and physical health is both a necessary ingredient to, and a result of universal empathy. If we could vertically eliminate or greatly reduce the current epidemic of hypertension, obesity and the metabolic syndrome, diabetes, kidney disease, and cardiovascular disease, why would we not do it and how could it be done? The answer is more interesting than one might think. Remove sugar and chemical sugar substitutes from our family diet. It is not too difficult, although it is difficult to eliminate sugar altogether because it is in virtually all processed products on the grocery shelves. Still, consumption can be reduced to a minimum, especially if you buy mostly unprocessed foods and buy, if you must, processed foods that contain the least amount of sugar. To be more socially empathetic, we can join together at the local level, attend school board meetings and call for all soft drink dispensers and sugary desserts to be removed from schools. As long as it is available, your kids likely will consume them. But, you and your family love your desserts? Schools resist? No problem. We can do an end-run around bland foods and the bureaucracy. The best substitute for sugar is, as I have found in my research, highly refined, pure stevia (Rebaudioside A, also called Reb-A and rebiana). Stevia is not an artificial, chemical compound, but a refined plant derivative that has been used by other nations around the world for hundreds of years with no known ill effects on health, and some studies have found possible benefits for diabetics. One teaspoon of pure stevia (no fillers) is equal to one cup of sugar. So, while Stevia, by equal volume, is more expensive than sugar, one only uses a very small amount (about 1/48 as much as sugar) for one’s dessert, candy, or coffee. This drops the cost to very acceptable levels–possibly even less than the cost of sugar (although I haven’t done all the math–I really don’t care if it is a few pennies more). 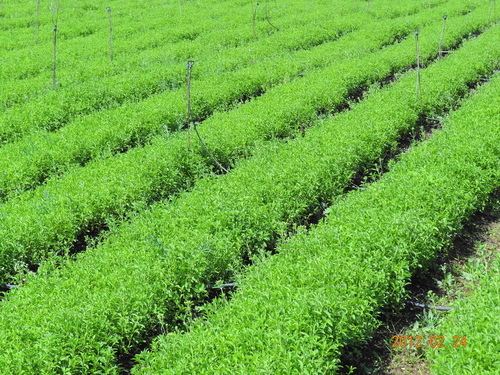 Pure stevia–with no filler–can be purchased on the Internet, and one can purchase it in bulk or in packets. The packets (like the packets of artificial sweeteners at convenient store coffee counters) make it much easier to determine the correct amount you want, and get it right every time. Buying the bulk containers (no fillers) is less expensive, but, until you get used to measuring it out, it can be just a bit iffy. Be very careful when purchasing on the Internet. Be sure to read the “Ingredients” on the label to determine if it contains fillers (anything other than Rebaudioside A, also called Reb-A and rebiana). If sugar alcohols are present, the product contains filler. So, if Stevia is the best sugar substitute (0 on the glycemic index, 0 calories), why is it difficult or impossible to find in super markets? Enter Donald Rumsfeld, onetime CEO of G.D. Searle (the corporation that created Aspartame–a chemical sugar substitute having probable health risks–and is a component of many diet soft drinks). Rumsfeld, as most folks know, is a neoconservative of the first order with long-time White House connections! 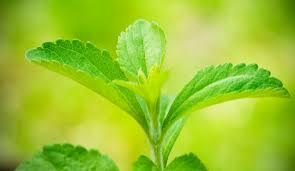 Over the decades, likely because of the Internet, Stevia has become more widely known. The food industry and the artificial sweetener industry could no longer hide the facts and block its sale. People were beginning to buy Stevia over the Internet, and it could be found in health food stores (although the labels were not allowed to call it a sugar substitute or a sweetener). The product has become more popular, even against political resistance and corporate-paid “research.” One can still find misinformation all over the Internet. Products are, however, now on supermarket shelves, using the usual deceptive Wall Street advertising and packaging for big profits. The products on your grocery store shelves that now contain Stevia, and claim to be Stevia, are deceptive. The individual packages and bulk containers are mostly cheep fillers, contrary to their names (“Truvia,” “Stevia in the Raw,” ” PureVia”). Sound so honest and pure, doesn’t they? Yes, Stevie is in the product, but with a much greater amount of filler. The chemical filler, itself, may not be so healthy. Last I read, the pure form of Stevia is still not in supermarkets. Stevia products are marketed under the brand names Truvia and PureVia, but the packets are not just rebiana. Both Truvia and PureVia contain erythritol, a low-calorie sugar alcohol sweetener. One packet of Truvia (3.5 grams) contains 3 grams of erythritol, and “natural flavors” of undisclosed chemical composition. Lastly, one caution to using stevia; you must use the proper amount. Too much will not taste good (too much sugar doesn’t either), but the right amount will have the great side effects of not leaving one’s lips sticky, will not add to your calorie intake, and will not rot the teeth. Also, it is heat resistant–you can bake with it. I drink 4 cups of coffee every morning sweetened with stevia (from bulk containers of 0.7 oz) and periodically make delicious fudge and brownies (yes, I can cook). Love the stuff. I am borderline diabetic (type 2) and have been for years. Why do I not have full blown diabetes? Stevia, diet, and exercise–and no soft drinks! Virtually all diet soft drinks are sweetened with chemicals, and are still harmful to diabetics. — Max T. Furr is author of The Empathy Imperative, a philosophical novel. What would the world be like if empathy, not self interest, were our primary motivating force? A free chapter from The Empathy Imperative will be on this site soon. I use the dark powder. The liquid is highly processed. “Dark powder?” Hmm. I haven’t seen “dark” powder Stevia. I use the white powder that has no additives. According to the ingredients section of the 7oz container, it is 95% pure Reb A–no fillers. He explains that the green and brown powder is the one that is not processed. Hmm, didn’t see any reference to “dark powder” Stevia, and a very brief search of the Internet found nothing. Perhaps I misunderstood to what “dark powder” you were referencing?